I'm a huge fan of Sea Bags, they repurpose and transform sails into totes and accessories; handcrafting everything in Maine. In addition to all the great predesigned bags, you can have bags custom made with anything on them, including your fur baby! I love custom items with my dog on them. I am 100% that crazy dog mom that will get socks with their dog's face printed up (and I have). 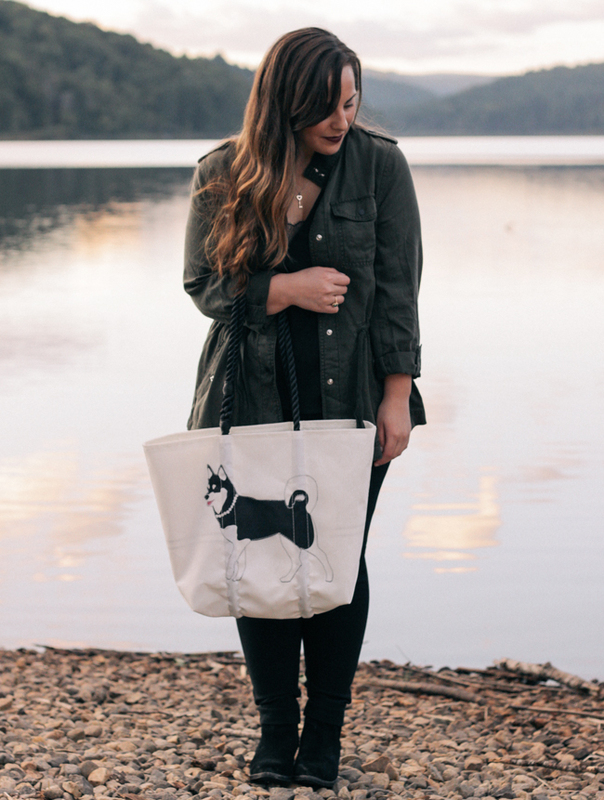 I also love unique items that tell a story, so I was really excited when Sea Bags reached out to me about designing a custom tote with Penny Lane on it. I couldn't be happier with how it turned out! 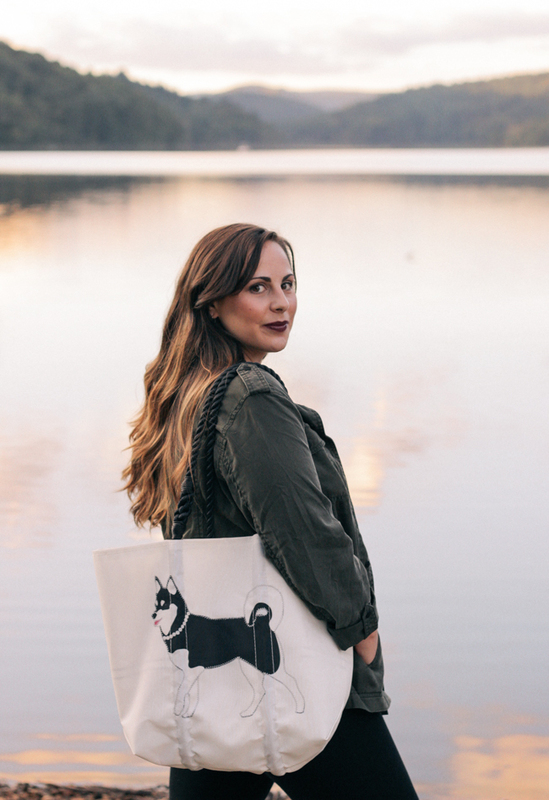 I know it's going to be my new go-to "dog mom tote" that I carry with me anytime I take the dogs somewhere filled with treats, water, waste bags, etc. It even has a great little pocket for your phone so it doesn't get lost at the bottom of the bag. 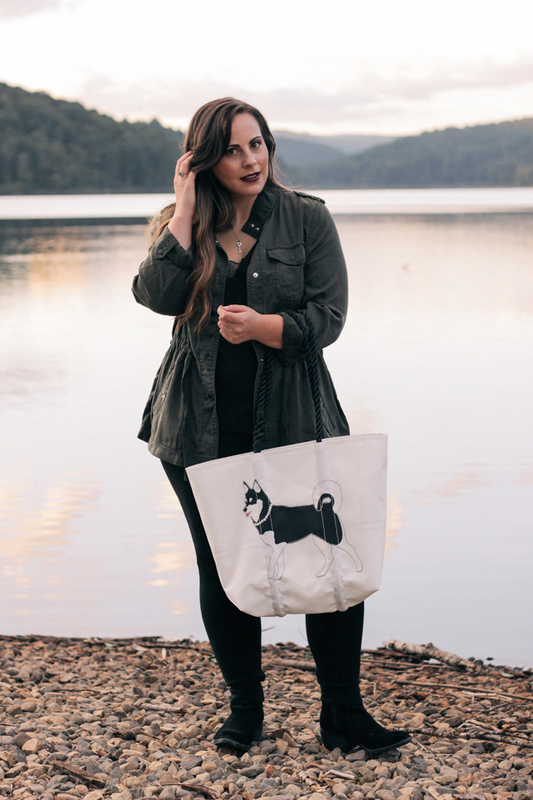 My bag is the Custom Design Tote in a medium, which is the perfect size for me, but they also have a large option if you're looking for something a little larger. You can choose the handle color, upload a photo, and give design notes to describe exactly what you're looking for. Then, the designers will send you a mock-up of their work and you can make any adjustments before your bag goes into production. I was so impressed with the design of Penny Lane and how fast my bag went from concept to arriving at my door. 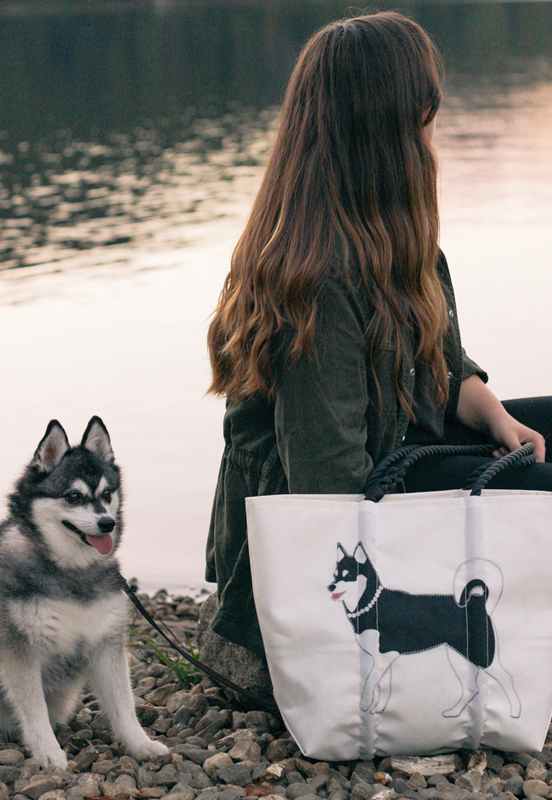 I can never find things with Alaskan Klee Kai on them because they are still pretty rare, so having this custom tote is really special. You can learn more about it and create your own here. Also, just so you know Sea Bags offers 10% off your first purchase just for signing up for their mailing list. You take advantage of that offer here. 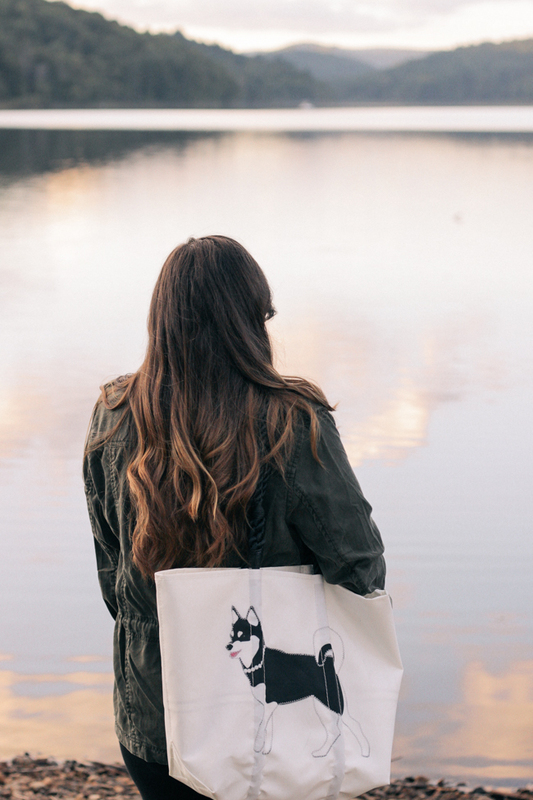 Disclaimer: I was gifted this custom tote in exchange for sharing it with you and promoting the Sea Bags Maine National Dog Day Giveaway. However, all opinions are my own. Thank you for supporting the brands and companies that support Petite in Pearls. 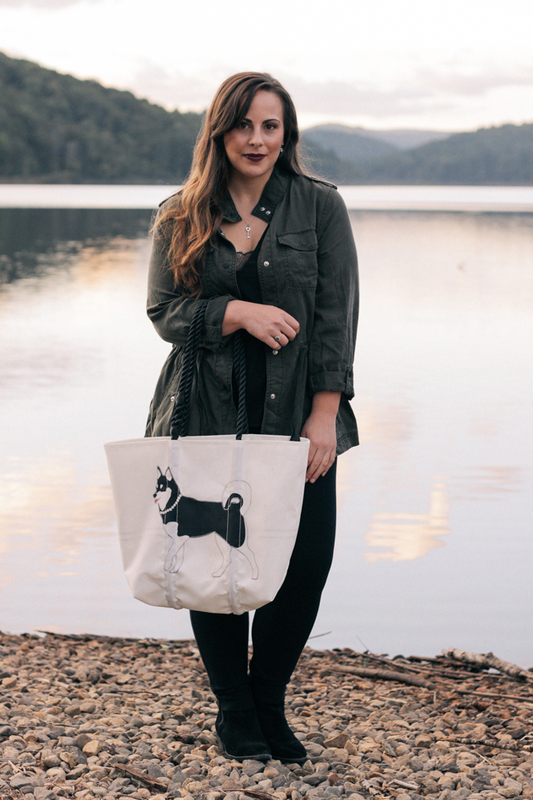 I like you so much in this cool and beautiful fall look and also the tote is absolutely amazing! OMG so cute!! I totally need a custom tote with my parents' dog on it. Haha He's the best puppy brother! Such a gorgeous bag and cute dog. Your photos look awesome. 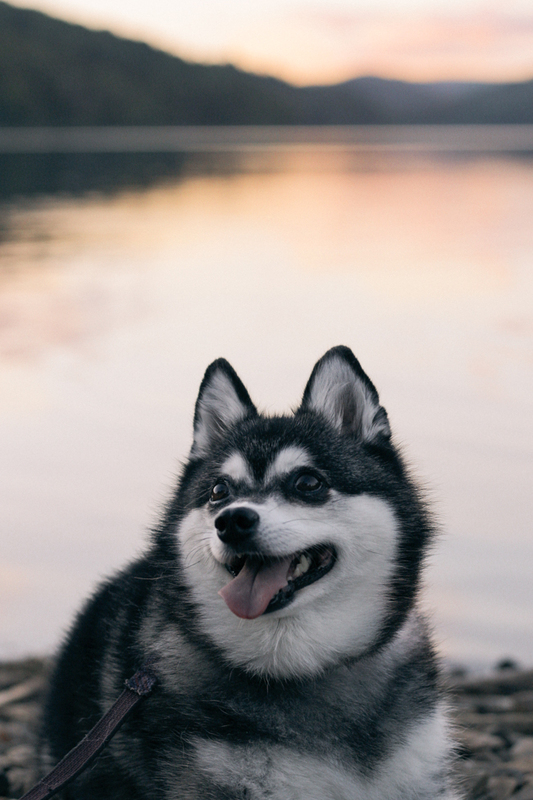 Oh my, your pooch is the cutest! Lovely photos you have here dear! I love that it looks like your pup on the bag! I'm such a big fan of Seabags! 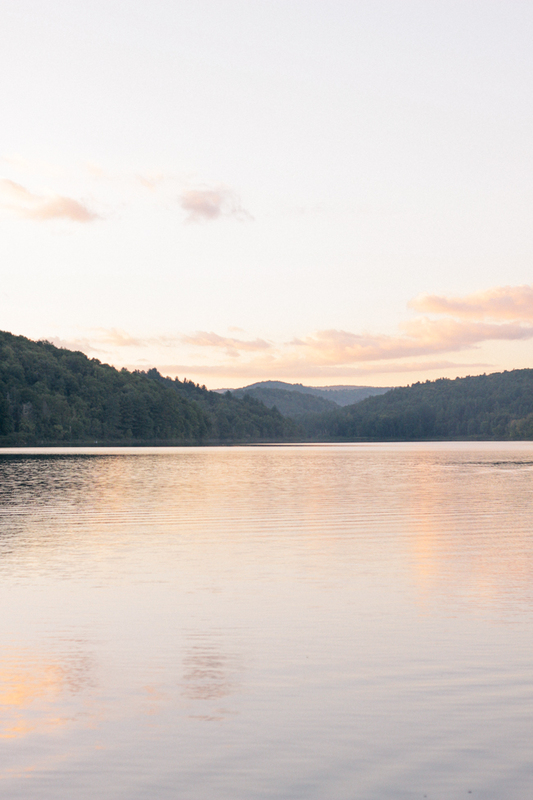 These photos are both gorgeous - and the cutest! 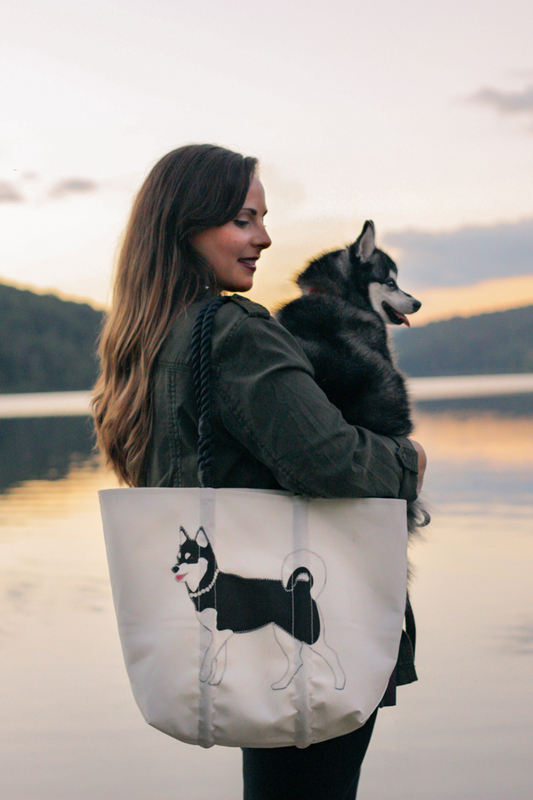 Your pup has the sweetest little face, and I love the custom bag with her picture on it! !